Surface morphology, surface wettability, and size distribution of biomaterials affect their in vitro and in vivo bone regeneration potential. Since nano-hydroxyapatite has a great chemical and structural similarity to natural bone and dental tissues, incorporated biomaterial of such products could improve bioactivity and bone bonding ability. 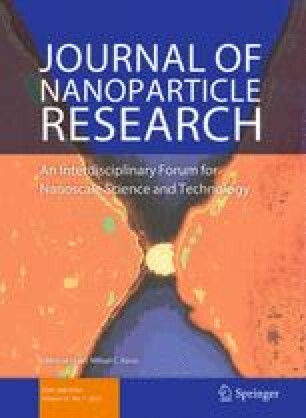 In this research, nano-hydroxyapatite (23 ± 0.09 nm) and its composites with variety of chitosan content [2, 4, and 6 g (45 ± 0.19, 32 ± 0.12, and 28 ± 0.12 nm, respectively)] were prepared via an in situ hybridization route. Size distribution of the particles, protein adsorption, and calcium deposition of powders by the osteoblast cells, gene expression and percentage of new bone formation area were investigated. The highest degree of bone regeneration potential was observed in nano-hydroxyapatite powder, while the bone regeneration was lowest in nano-hydroxyapatite with 6 g of chitosan. Regarding these data, suitable size distribution next to size distribution of hydroxyapatite in bone, smaller size, higher wettability, lower surface roughness of the nano-hydroxyapatite particles and homogeneity in surface resulted in higher protein adsorption, cell differentiation and percentage of bone formation area. Results obtained from in vivo and in vitro tests confirmed the role of surface morphology, surface wettability, mean size and size distribution of biomaterial besides surface chemistry as a temporary bone substitute. S. Tavakol and M. R. Nikpour have equally contributed to this work. This work was supported by grant from Student’s Scientific Research Center, Tehran University of Medical Sciences, Iran and Nanotechnology Research Institute in Babol University of Technology, Iran. Authors are thankful to Dr. Sharmin Kharrazi for critical reading of the manuscript.